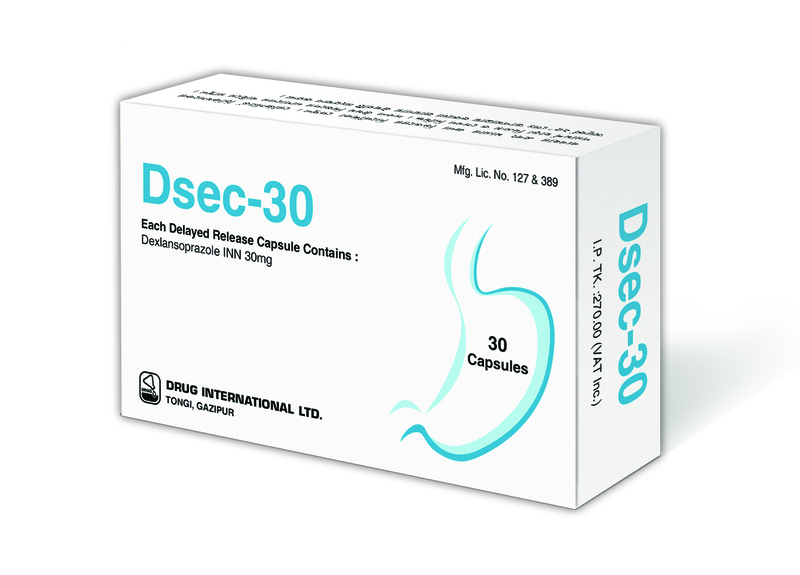 Composition : Dsec-30 : Each Capsule Contains Dexlansoprazole INN 30mg as enteric coated granules. 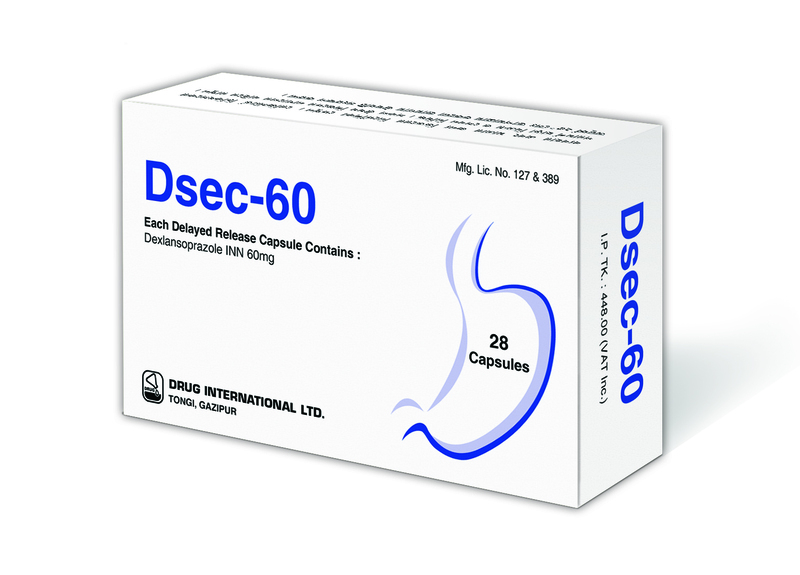 Dsec-60 : Each Capsule Contains Dexlansoprazole INN 60mg as enteric coated granules. • Healing of Erosive Esophagitis (EE). • Maintenance of Healed Erosive Esophagitis. • Symptomatic Non-Erosive Gastroesophageal Reflux Disease (GERD). • Dexlansoprazole can be taken with or without food. • This capsules should be swallowed whole; Should not be chewed. - Sprinkle intact granules on 1 table spoon. - Swallow immediately. Granules should not be chewed. Or, as directed by the registered physicians. Use in pregnancy and lactation : Pregnancy Category B. There are no adequate and well-controlled studies in pregnant women. It is not known whether dexlansoprazole is excreted in human milk. Packing : Dsec-30 : Each box contains 30 capsules in alu-alu blister pack. Dsec-60 : Each box contains 28 capsules in alu-alu blister pack.